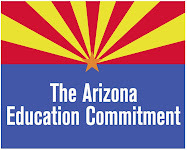 Arizona Education Network: It's Official - We've Launched the Quality Education & Jobs Initiative Campaign! It's Official - We've Launched the Quality Education & Jobs Initiative Campaign! We want to share some very exciting news! Friday, March 9, 2012 at 10 a.m., we launched the Quality Education and Jobs Campaign to strengthen our children's education and our state's economy. We filed paperwork with the Secretary of State's Office that allows us to begin collecting signatures to place a once-in-a-generation measure on the ballot this November. Protect K-12 education funding from further legislative cuts and create a dedicated source of revenue for education across the spectrum - benefiting students of all ages. Help educators implement new, more rigorous Common Core standards for K-12, which come online in 2015-2016, as well as other reforms. Create university and community college scholarship programs, and provide funding for university operations. Reinvest in career and technical education at the high school and community college levels, as well as GED programs. Create a poverty index that directs resources to school districts and charter schools to help children living in poverty succeed and to fund voluntary preschool programs. Provide funding for KidsCare, a healthcare program for children living in poverty, and create Family Stability fund for state agencies and non-profits that help address hunger, homelessness, family violence and child care. Create new jobs and protect public safety by protecting state funds that are directed toward DPS officers and transportation projects, and by creating a new fund to build roads, rail and transit. Our all-volunteer team has spent the past 10 months working to make this a reality. We appreciate all of your support along the way, and look forward to working with you so we can win in November! First, we have to collect 172,809 signatures by July 5 to get on the ballot. We have hired professional petition circulators who have already begun collecting signatures, but the more we can collect through volunteers, the more funds we'll have to spend connecting with voters through mail and advertising. We will be having training sessions for volunteers who want to circulate petitions and join our speaker's bureau. If you are interested and haven't signed up already, do so by clicking here. Be sure and note your occupation and employer on the check. There are no limits to the amount that individuals can give to an initiative effort. Corporations are also allowed to donate. To read the ballot language and the press release, visit the campaign website at www.qualityeducationandjobs.com.